As red diesel suppliers in Edinburgh and on a nationwide scale for over 60 years, we have the experience and resources to deliver fuel quickly, efficiently and at a competitive price. We always aim to deliver fuel at a date and time convenient for the customer. Usually a next day delivery will be arranged, in case you need red diesel in an emergency, we can deliver same day, within hours! We offer a free fuel management service for customers that order fuel frequently-this way you can keep control of your fuel. We will monitor your fuel consumption and inform you when your tank is low to make sure you never run out. Call us on 0845 313 0845 to take advantage of this service. Edinburgh is one of Europe’s most beautiful cities. Set in a landscape of rugged splendor in Scotland’s Central Lowlands, Edinburgh has districts which have been declared UNESCO World Heritage Sites. Edinburgh has enjoyed a rich cultural life since ancient times, and is still a magnet for travelers. Edinburgh is also famed for the chilly winds coming in from the ocean, often bringing rain. For all the warmth of its citizens, Edinburgh can be a bit dank and cold at times, especially from October to May when the windstorms come in. Many of Edinburgh’s structures are warmed by red diesel fuel. This is similar to diesel fuel for automobiles, but has been dyed red to distinguish it from other fuels for tax purposes. Heating buildings is its main function, and for this purpose fleets of tanker trucks deliver the red diesel Edinburgh needs. Edinburgh is served by various diesel suppliers. All of them offer payment plans to make their service more attractive to the consumer, and a smart shopper can find one that suits his needs at the lowest possible price. They often offer customers the chance to lock in a price, usually for a one-year period. Some companies will automatically group a customer’s order with others in the same area, allowing a savings which is passed on to the consumer. Another feature which is gaining popularity is an automated ordering system using the customer’s telephone line to keep the company informed about fuel needs. 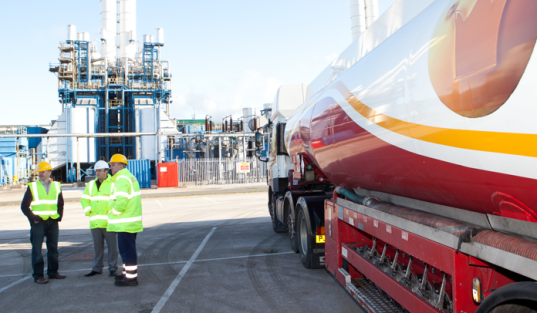 When the fuel level falls below a certain level, the company automatically makes a delivery.